My friend Rachael is on a mission to quickly pay off her student loans by reducing her spending dramatically (through a “spending fast”) while still having a fun and creative life! I asked her if I could share her most recent update here. She agreed. A fan of creating scrapbooks and videos, Rachael will soon be launching a photo services business. To follow her adventures and get updates, she can be found on Instagram @radiance1986 and Twitter @rachaelelenine. Over the past year, I have become more conscious of my inner perfectionist. This part of ourselves that sub-consciously tries to be without flaws to ward off shame, ridicule etc., I believe that we all have it in some way or another. We may apply it in one area of our lives, and not another. It may be a very private experience, or outwardly directed. This month mine reared her head (I wouldn’t say “ugly head” because to work with the perfectionist you need kindness, it is a survival strategy, after all) when after having paid more on my student loans than any other month this year, I still didn’t think it was a good enough month. You see, I had committed to something I call a “spending fast” where I was going to tackle the $30K+ in post-graduation debt with a swift and quick method, by karate chopping out all my excess wants (sounds like fun, eh?). So far I was doing great: within only a few months I had paid multiple thousands towards debt. It’s amazing to locate where I previously frittered away money. This particular month I had great fortune: a $3500 tax refund (Cha-ching! The amount is likely due to the combo of leftover student credits and interest paid last year on debt), and a beautiful – and in the spirit of full disclosure – mostly-paid-for trip to Costa Rica by my partner. And I admit, sometimes I forgot I was on a spending fast, buying a little something here and there. So between my tax refund and my mandatory monthly loan payment I paid $3922.05 this month on my debt. But still, my inner perfectionist wanted more, she wanted to control those unexpected elements that came up. I guess I was afraid that the circle of friends who had agreed to hearing my boring (joking, that is my inner perfectionist again!) monthly updates would think I was a phoney or a fraud for not doing more to ”control” this month and the excess costs. Never mind the fact that I had already paid multiple thousands towards debt! Jeez. Inner perfectionist aside, when I was in Costa Rica, one of the happiest places on earth (seriously), I was inspired by their community-oriented lifestyle. People just hang out with each other at their homes in a relaxed manner. They know what matters: connection. To earth, to others, their families and friends. 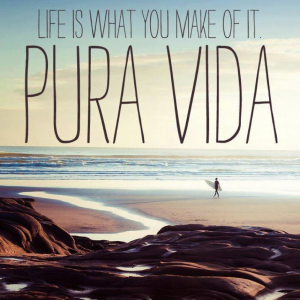 They have a saying in Costa Rica called “Pura Vida”, which translates to “Pure Life”, but is often used like “no worries”, “life is wonderful”. While my month may have had some great successes and a few drawbacks, my trip to Costa Rica was such a beautiful reminder of what matters at the end of the day, beyond that critical voice within, debt, good and back luck, things that come up out of our control: people, the time you can give, and presence. 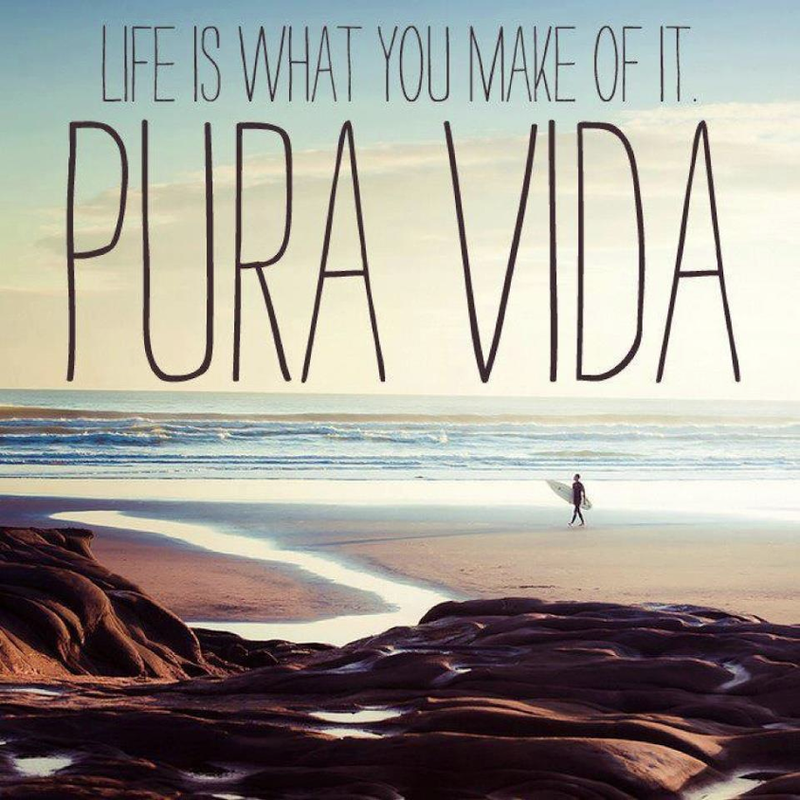 Ah, yes – Pura Vida!